Seaford Christmas Magic Forged Ahead Despite the Weather! 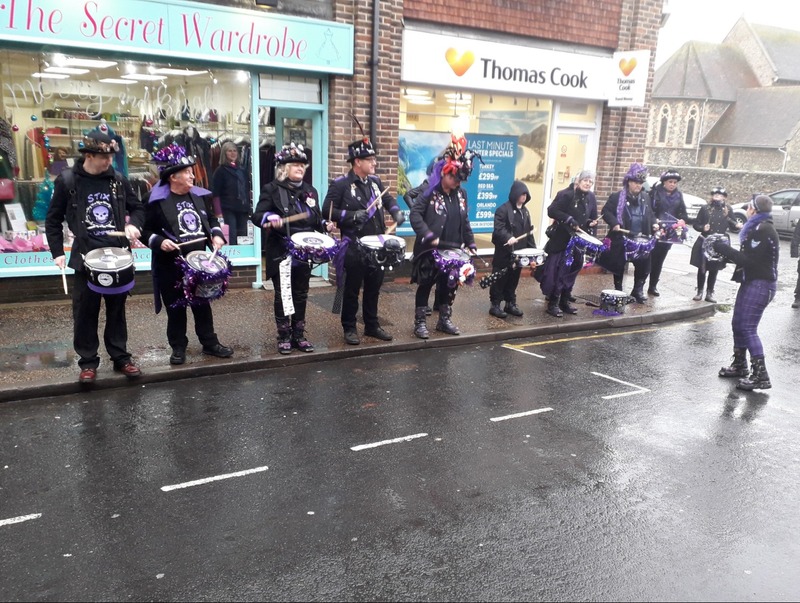 A sincere thank you to all the hardy folk who braved the elements on Saturday 1st December 2018 for Seaford Christmas Magic! It turned out to be quite a crowd! Due to the forecast of heavy rain and high winds, the event had to be revised at short notice as the main stage and stall gazebos could not be erected as planned. All was not lost, as market stalls were able to be rehomed in the Clinton Centre and St Leonard’s Church Hall, where all things Christmassy were on display and for sale. 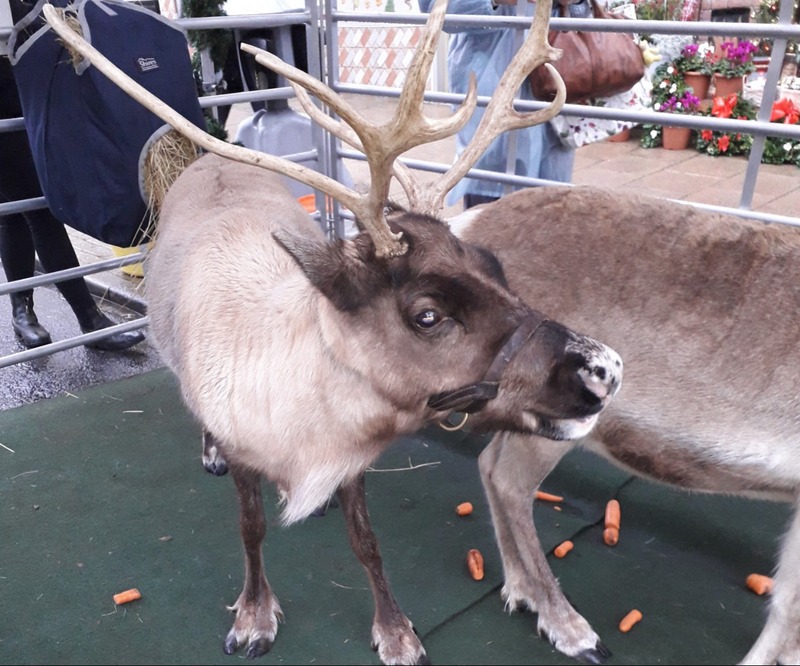 There was certainly a lively buzz and the Christmas spirit was raised further by the Pop Up Singers and Stix Drummers, who entertained shoppers in the Clinton Centre and around the town too. A variety of other live entertainment captivated the crowds in Broad Street and at Tansley’s Performance Stage. Children were delighted to be able to make beautiful, colourful lanterns in St Leonard’s Church Hall ahead of the magical Lantern Parade. Santa, Mrs Claus, and his merry elves were kept very busy throughout the day in Santa’s Grotto. 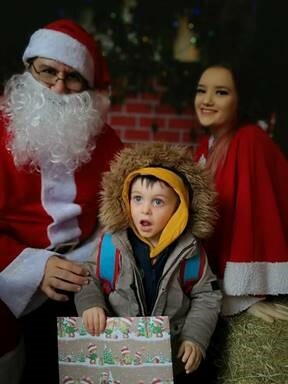 Children were thrilled to be able to meet Father Christmas and get their photo taken too. 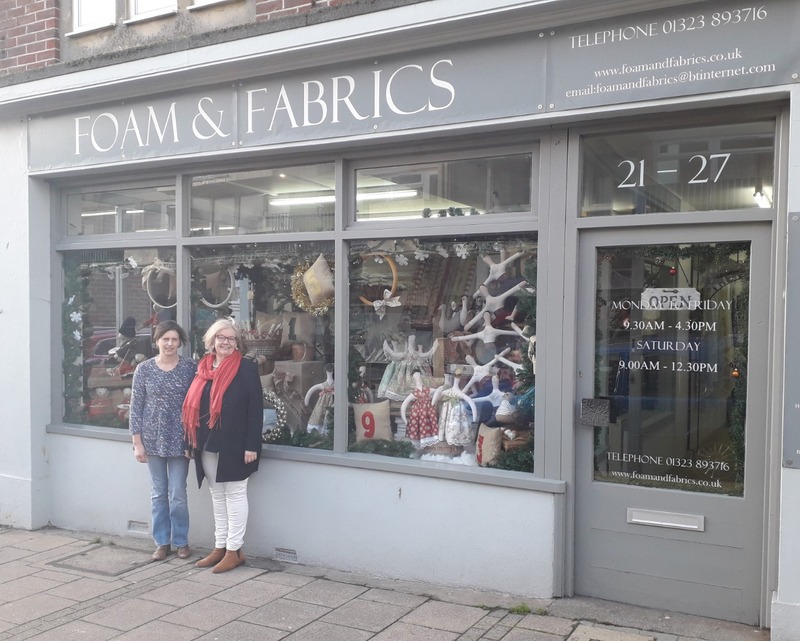 The winners of the Christmas Window Display competition were also announced. Congratulations to Foam and Fabrics who took first place! Ambers Florist, Badgers Ink and Millies were all runners up. Judging took place with the Chamber of Commerce President Paul Franklin, Deputy Mayor Lindsey Freeman, Young Mayor Dom Avey and Deputy Young Mayor James Jenkins. Thank you again to all those who made the effort to make Christmas Magic so festive in such challenging conditions. Special thanks go to the volunteers of the Seaford Christmas Magic Committee, Sussex Events, Seaford Bonfire Society for marshalling, all our fantastic sponsors, Seaford Town Council staff and all the stall holders who made the day possible. Fingers crossed for better weather next year! The wonder of Santa's Grotto!